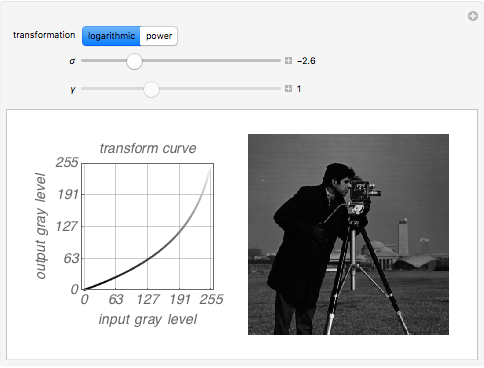 This Demonstration shows how the contrast of a grayscale image can be modified by applying the common gray level transformations found in typical image processing textbooks, that is, the logarithm and the transformations. 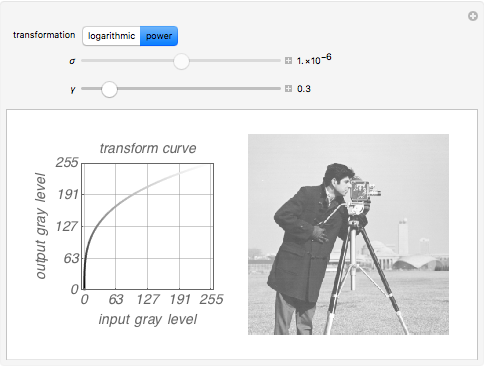 in which the constant is scaled to set the maximum output of the transformation to the maximum gray level (in an 8-bit grayscale image this value is 255). Varying the parameters or (depending on the transformation chosen), we can modify the contrast in the image and highlight details not seen in the original. José A. Díaz "Transformations of Gray Levels in an Image"